It may only be Monday, but we opened a bag today from consignor 1412 that had items in it that were so amazing, we had to share! All three by Numae Paris. Size 90 (18mo - 2T). $32.99 each (These retail for about $80-$100). 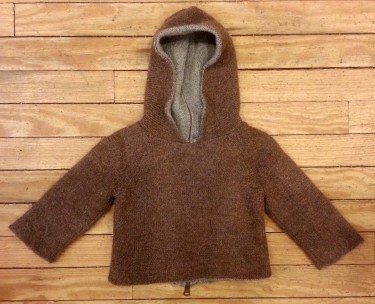 Wonderful hoodie made from a soft wool blend. Super soft dress by Alubm di Famiglia. Gorgeous wool dress, perfect for the holidays. Brown flannel dress by Bonpoint. Cashmere/Wool blend sweater by Il Gufo. Brown plaid skirt by Leoca Paris. Brand new boots by Ovation!